Your home needs a hot water unit that can effectively meet the needs of your family every day – from the morning shower right through to the dishwasher at night. But when it comes to buying a new system, it can be difficult to choose with so many options available. We’ve put together a handy guide to help you select the new hot water heater that is perfect for your needs. Gas hot water systems have energy efficiency star rating labels. The more stars, the more efficient the water heater is. Minimum Energy Performance Standards (MEPS) currently apply for electric hot water storage systems. MEPS are currently under consideration for other water heater types. One person typically uses about 50 litres of hot water a day — even more if you enjoy a long, hot shower. A hot water system supplier can analyse your home and usage and recommend some options for your situation, taking into account how many people live in your home, how much hot water you use, and when you use it. For most households, a solar hot water system can be the most efficient and cheapest to run. Hot water systems take up significant space. For example, gas storage tank systems need to have a flue that exhausts outdoors, and tanks in general need somewhere for excess water to go, as well as a set amount of clearance on all sides. Likewise, if you’re planning on installing solar collectors, you need to consider whether or not you have the necessary north-facing roof space for these to work effectively. Hot water systems are run either by gas, electric or solar energy. For many Australian households, the choice will depend on whether or not gas is available. If you don’t have a solar boosted hot water system, natural gas is easily the cheapest and most efficient type of fuel for your hot water system. Keep in mind that electric hot water systems are being phased out. Choose from either storage or continuous flow systems. Storage heaters use either a gas or electric element to heat the water and store it for use. They’re often cheaper to install, especially if you had a similar unit previously. However, storage units can be more costly to operate, can run out of hot water and take a while to warm up. Most major brands now offer continuous flow units, which are small, instantaneous and never run out of hot water. They take up far less room than most storage units and can even be recessed into the wall. They only turn on when needed, meaning they don’t waste energy when not in use. 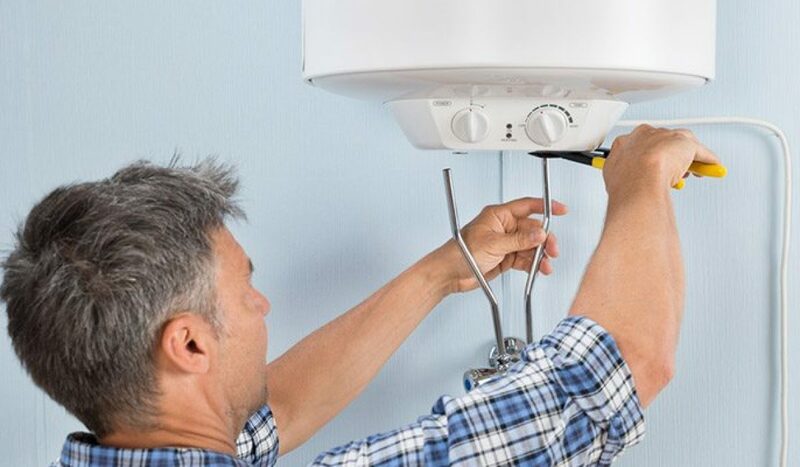 When it comes to hot water installations and repairs, Plumbing Central Sydney is one of the most established companies around. Contact us or call us on 0410 011 999 and we’ll either give you a solution or point you in the right direction.